Work has begun on the Scranton/Carter Road Reconstruction Project. The beginning phases of the project will resurface Willey Avenue (Columbus Road to Train Avenue) and Train Avenue (Willey Avenue to Scranton Road). These streets will be resurfaced curb-to-curb during the first week of construction. Existing traffic patterns and drive access will be maintained. On Monday, May 9, resurfacing operations will begin on Carter Road between Columbus Road and the Flats Industrial Railroad. 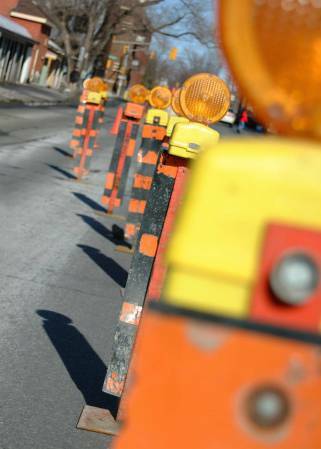 Northbound and Southbound traffic lanes will be detoured onto Columbus Road. All local access will be maintained. The Centennial Trail will be closed for the duration of Carter Road reconstruction, approximately 6 months. Motorists will need to be alert for lane shifts and barrels used to direct traffic. This project is scheduled for completion by November 2017. The Scranton/Carter Road reconstruction project includes new concrete pavement, concrete drive aprons, curbs and walk , new drainage facilities, installation of ADA compliant curb ramps at all intersections, miscellaneous water work including hydrant relocation, relocation of utility poles, and newly stripped exclusive bike lanes and parking lanes on Scranton Road.